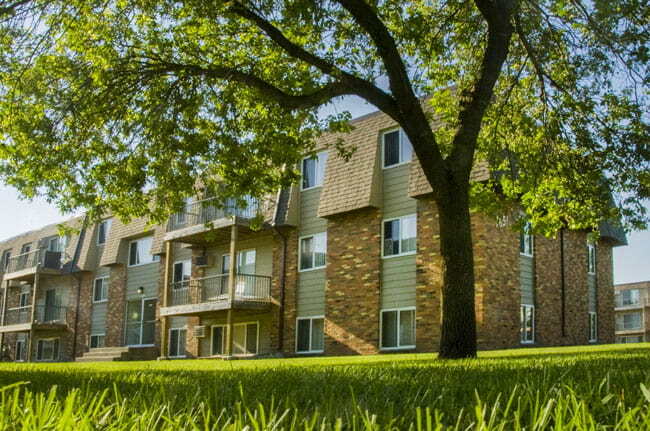 Located in Mounds View, a suburb of the Twin Cities Metro, Greenfield Estates Apartments offer residents spacious units, affordability, and a short commute to St. Paul and Minneapolis, MN. The apartment units range from 750 to 1000 sq. ft., which are perfect for young professionals and small families. Each apartment feature spacious storage for your convenience, and a limited number of units allow pets. For more information on Greenfield Estates, contact the Tycon Companies office or view the Greenfield Estates page on our website.